SCI cigarette lighter splitters feature two lighter sockets and two USB ports. Additional lighter sockets can be used e.g. for powering your GPS, CB, or a portable fridge. 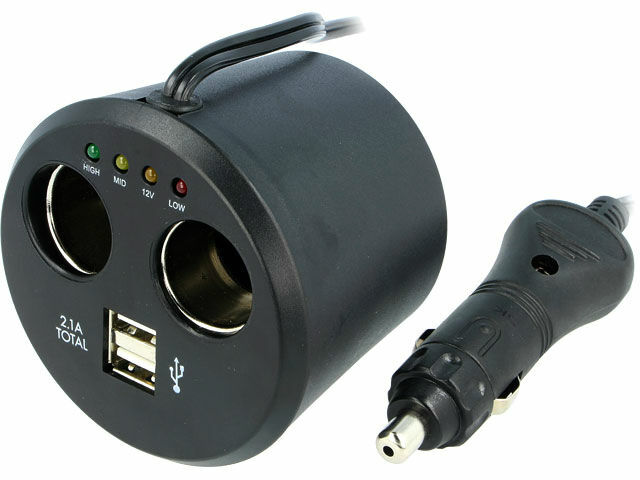 Two USB ports enable connecting two additional devices at the same time, such as mobile phones or other multimedia devices. Thanks to its round shape, the device can be easily fitted into the mug holder. The body features LEDs indicating the voltage range of the lighter sockets.